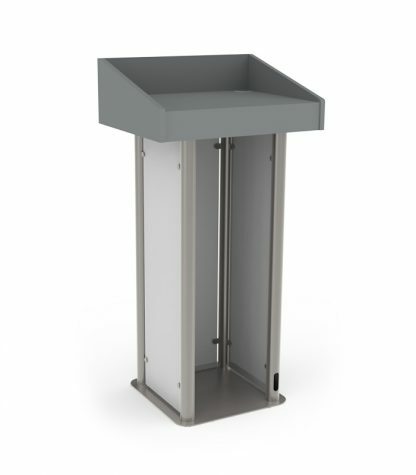 This elegant lectern has a strong presence and combines metal, acrylic and wood. It features cable management through the steel base and opal acrylic panels that can incorporate a logo. 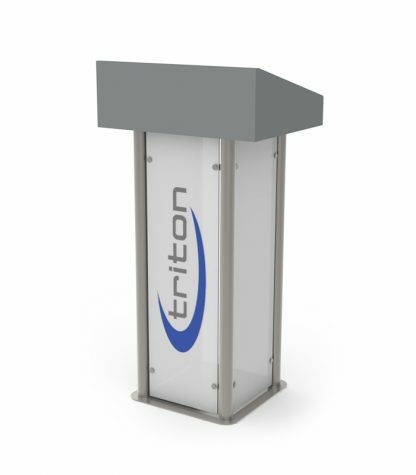 This Triton Lectern is designed to look good and elagant from any angle. It combines metal, acrylic and grey lacquered wood and features cable management through the steel base. In addition, the opal acrylic front panel can incorporate a logo.